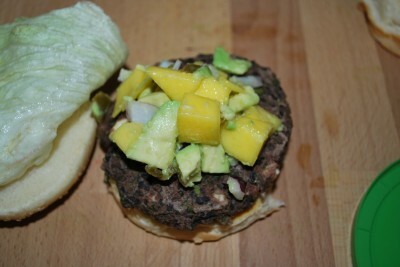 I have a Black Bean Burger recipe on this site already…and I almost deleted it. Why? A Facebook friend posted this lovely recipe and I had to try it. Now, Barry and I don’t eat veggie burgers because they’re good for you. Yes, they are good for you….but we just like them. We are not vegetarians. We love pigs. So, I tried this new recipe and it was DIVINE! I told Barry I was going to delete my old one because it was inferior to this masterpiece. He said no. So, I didn’t. This new burger is full of cilantro, so if you don’t care for that (weirdo!) then you’ll want to stick with my other recipe. Let’s get healthy…..or get gas…..or maybe both, who knows. 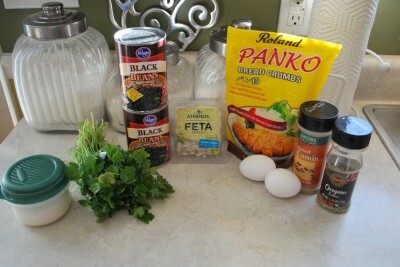 Cast of characters – canned black beans, cilantro, cheese, Panko breadcrumbs, cumin powder, oregano, salt, and egg whites. Oh, and buns…..don’t forget the buns. So, what are Panko breadcrumbs? They’re usually found with the regular breadcrumbs in the store. They’re more light and airy and are supposed to give a crunchier feel to food. You’re able to use less because of their light texture, so they’re better for you. I’m feeling really healthy today! I might go do Tae Bo…..or not. Probably not. Nah, nevermind. 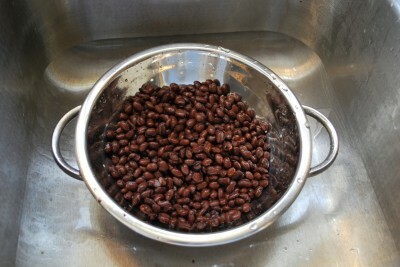 You need to rinse and drain your beans. 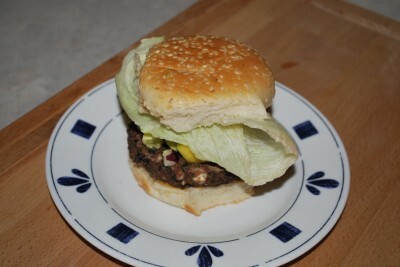 We need to get rid of all the extra liquid so that the burgers are dryer and form better. I used one batch of cilantro for this instead of measuring it out. It’s really cheap stuff. I think it’s $.59 at my Kroger. I just love it! I always buy it to keep on hand. So, wash it and chop it finely. I use my Slap Chop because I love my Slap Chop. We’re tight. 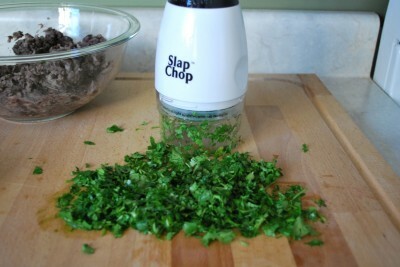 It works great….have I mentioned I love my Slap Chop? Grab your potato masher and go to town on your beans. Get them nice and pulverized. It’s fun. You can leave a bit of texture or smash them smooth. Whatever floats your boat. 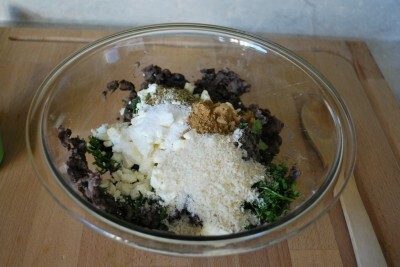 To your bowl add the chopped cilantro, cheese (I used Feta, but you can use whatever cheese you like), breadcrumbs and seasonings. Mix well, so it’s all incorporated. Now, time to add the egg white! Don’t have a cow if you get some yellow in there. We’re not beating the egg whites, just using them to hold everything together. Mix it up really well. Yes, I used my hands. If you want something mixed right, use your hands. 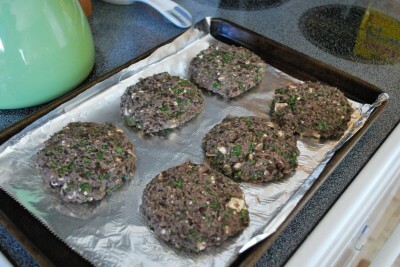 Form the burgers into patties and place them on a foiled lined cookie sheet. I sprayed my foil because I live in eternal fear of food sticking to dishes. It’s a phobia. See how pretty they are with all those green cilantro specks? Really, if you don’t cook with cilantro you should start today. TODAY! Thank you. Bake them for 10 minutes and then flip them over. It will help them cook more evenly and get nice and brown on the outside. Here is what they look like done….not much different than they did raw, but they are more firm and you can tell they’re browned. And they smell really yummy. This particular burger called for a homemade salsa topping. You can leave this part out if you’re in a hurry or if you’re boring. If you’re boring, there’s not much I can do to help you. 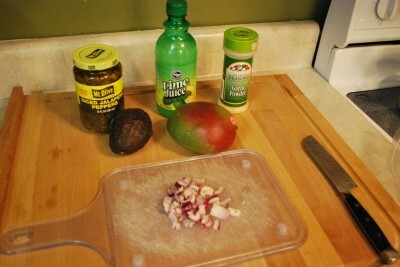 This salsa is really, really yummy. Barry doesn’t like mango and he liked this. 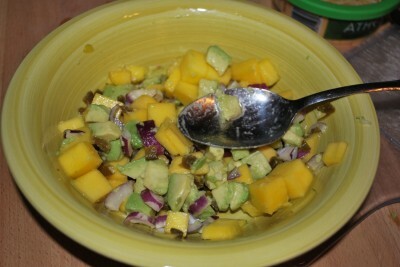 You’ll need mango, avocado, lime juice, garlic powder, chopped onion, and jalapenos. I used canned jalapenos because we like them. You can use fresh…..but wear gloves and don’t rub your eyes. Trust me on this one. Mix everything up and it will look like this. Pretty! 🙂 But, not too pretty to eat. That’s just silly. This recipe also called for homemade hummus. 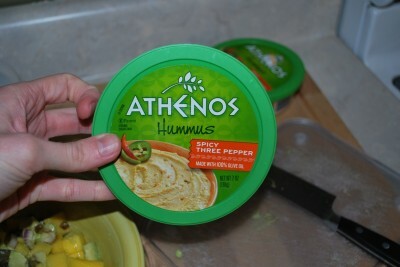 I <3 hummus! However, I have found that I can buy it cheaper than making it. Kroger regularly puts this hummus on sale for $1 and they have all different flavors. I buy several and stock up for the next time. They keep for a long time. So, I used this instead. I’ll include the recipe at the end though so you can make your own if you desire. Time to assemble the burgers! My tummy was really growling at this point. 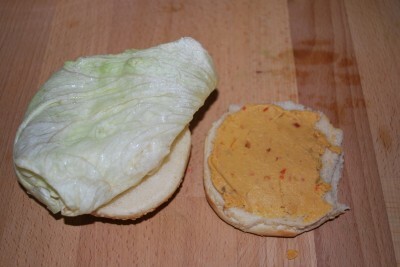 So, on one side of your bun you’ll spread the hummus and put the lettuce on the other side. Yes, it must be done this way……..no, not really. You can do it however you want. Put your burger on top of the hummus and pile some salsa on top. Yes! Whew. It was good. Annie didn’t like it, but Barry and I ate the remainder using a spoon. YUM! And there you have it! 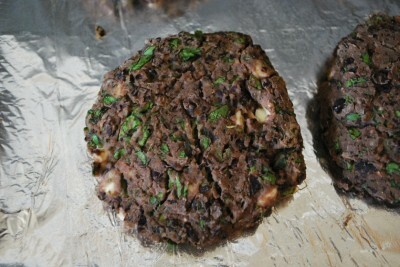 Black Bean Burgers Take Two! This one is way better than the other one…..but I had to leave it on here because Barry said so. Embrace cilantro. *See under recipe for this week’s giveaway. 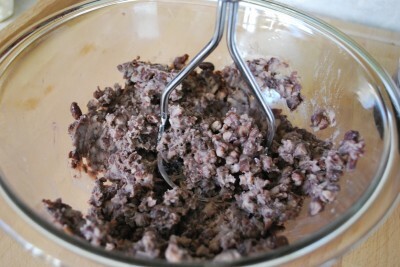 Mash the beans with a fork in a large bowl, leaving a bit of texture. 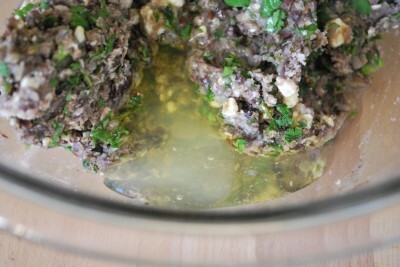 Stir in the cilantro, cheese, breadcrumbs and seasonings. Start with less salt and adjust to taste, then stir in the egg whites. 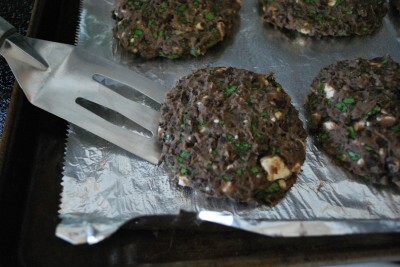 Form 6 patties and place them on a baking tray lined with parchment paper/foil. Bake for 20 minutes, carefully turning once halfway through baking time. I have never done that – cilantro has a very distinct taste and I haven’t found anything that substitutes for it. Have to skip the salsa. I’m allergic to both avocado and mango. (Why, yes, my life *is* a miserable culinary wasteland. Thank you for asking.) Any good without that part? Sure! 🙂 Still utterly delish! These look really yummy…do they taste “beany” though? Hubby doesn’t care for beans unless they’re in chili, but these sound so good! I like them better than meat burgers. You can tell they are veggie though. 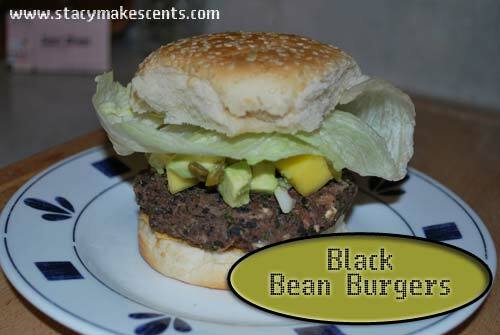 Ohhhh I love black bean burgers AND cilantro. I can’t wait to give this a whirl!